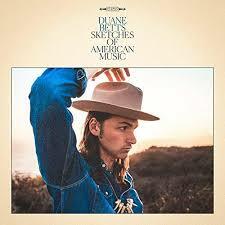 Royal discographic deflowering for Duane Betts on his eponymous six titles EP "Sketches of American Music", which will delight his illustrious father, and our humble ears. Polshed in Nashville and Los Angeles with prestigious people like Steve Cropper, Marc Ford and his Kentucky friend, the songwriter Stoll Vaughan, the music that escapes the EP is very enjoyable, in a "Americana west-coast" style, with underlying sounds of the old south, which run smoothly with the title "Taking Time" in a genre that recalls the approach of The Wallflowers, the group of Jakob Dylan. Secondly "Downtown Runaround" becomes more bluesy, to return to a "laid-back beat" on "When We Get Home". Then comes the song that strikes the ear of all its magic with the cover of the "California Blues" of his father from the "Dickey Betts/Great Southern/1977", piece beautifully built with his little slide "licks" in the beginning. Then, it rolls in an undulating boogie where all the sparkling guitar virtuosity of Duane Betts takes shape, a fairy of notes that revives the memory of his dad. You will stay flabbergasted, you need at any price to listen to this thing: it augurs good days for the sound of the south, we need it so much! We return to something more country folk with "Think I'm Doing Well" very muted still with very elegant notes of guitar until the final title "Ride it Out". It is rumored that Duane Betts prepares us some pretty well things with a project with Devon Allman, as well as his father, in the form of tours, we salivate in advance!